Chagatai Khan: Shaheen Sehbai praises Asif Ali Zardari. SOME YEARS BACK SAME SHAHEEN SEHBAI ON ASIF ALI ZARDARI IN HIS AMERICAN BASED WEB BASED MAGAZINE SOUTH ASIA TRIBUNE! IT WAS August of 1996 when I was on a short visit to Islamabad as then I was based in Washington as correspondent for Daily ‘Dawn’. 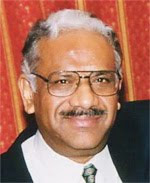 My friend and late hockey commentator Farooq Mazhar was then Editor of Islamabad’s English Daily ‘The News’. I had played some role in getting him the Editorship of the newspaper in early 1995 and so Farooq Mazhar felt obliged. During 1995 he had developed a special friendship with the then Prime Minister’s husband, Asif Ali Zardari, thanks to Cricket Commentator and columnist Omar Kureshi. During and shortly before that period my relations with Asif Zardari were not very friendly as I had been writing in my usual way about Benazir’s government and Asif’s influence, which I called interference. Farooq Mazhar hosted a grand dinner for me and also invited about 50 other common friends, among them senior journalists, senior politicians and officials. The dinner was a great success, drinks were flowing, food was in abundance and groups of like-minded people were discussing politics, and everything else, in a free and relaxed atmosphere. Suddenly there was a big commotion. Everybody and the hosts seemed to be running in one direction and there emerged Asif Ali Zardari in the middle of a procession of aides, secretaries or application bearers. He shook hands with some, including our group and headed for the food table. For next hour or so he was surrounded by others. Then Farooq Mazhar brought him to our corner and wanted me and him to shake hands, discuss our differences and be friends again. It was embarrassing as neither he nor I was prepared for this uncalled for mediation. Our group had senior journalists H.K. Burki, M. Ziauddin, Javed Siddiq, Amir Mateen and others. Among the politicians I remember Ghulam Mustufa Khar and Kabir Wasti. There were many others. The focus of every one turned to what Asif and myself were saying to each other. He was complaining about friends (me) who had dumped him and BB during their second government, which was still in tact. I was protesting at the way he had created a coterie of self seekers around him which had forced others to distance themselves. The discussion was not going in any positive direction. It did not. I remember my final words to him were: “Asif when I return to Pakistan next time, I am sure you will be in the same jail where I had come to see you after you were arrested by Jam Sadiq Ali in 1990-91.” It was a prophecy which came true just a few weeks after I had returned to Washington. BB’s Government was dismissed in November and Asif was put in the Landhi jail. When I returned to Pakistan in June 1997 I found him in the same jail. He was in other jails when I came back in 1998, 2000, 2001 and until I left Pakistan in March 2002. He is still in jail. My views about him had not changed much but over the years the feeling was getting strong that he had already suffered more than he deserved. Finally when General Musharraf shed all his pretences of being an honest, moral person and came down to naked pursuit of brute power, by hook or by crook, through a fraudulent referendum or a fixed election, Asif started becoming respectable for me. 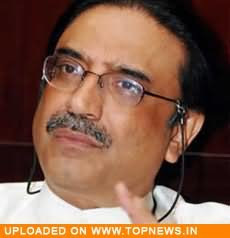 If financial corruption was to be an integral part of Pakistan’s ruling classes, be it an elected government or a self-adulatory military regime, and if every one had to bend the rules and extend financial favors to friends and family, then there was no reason for Asif Ali Zardari to suffer a fate which no one else has, or will. Now he stands out as the only politician who has refused to compromise with the Establishment for his freedom, although he could have done that given the level of petty bargaining which the Musharraf regime has been doing with every corrupt thief and robber. If Admiral Mansoor ul Haq can pay 7 million dollars and be a free man and keep the rest of the millions he made, Asif could have easily done a similar deal. Or if the small time crooks can be let off by paying a fraction of what they owe to the State, freedom should not have been a big deal for Asif to buy. And he admits he was offered the deal many times by the Musharraf regime but he refused. On top of all this, when Musharraf struck the despicable deals with the PPP turncoats and lastly with the MQM, my faith in the last disciplined institution of the country, the Pakistan Army, was totally shaken. Now for me, the army was just another corrupt, power-hungry political party, ready to commit the same “crimes” which Asif Zardari or Nawaz Sharif had committed and for which General Musharraf had made them pay through their nose. If for some petty financial corruption Nawaz and his entire family had to be exiled from the country or Asif had to be kept in jail for 7 long years, then similar punishment must be demanded for the present military junta as they have done nothing less. In fact as stories of their corruption and favoritism are now leaking, it appears these military men have been so reckless with the national exchequer they have to be given stiffer punishments, whenever that time comes. So now my argument is that when all governments in Pakistan resort to corruption, with no exceptions, then what is the choice for the people. Since lack of morals and dishonesty is going to be a common factor, people will have to look for some additional "positives" to prefer one over the other. They have to chose from what they have. This additional “positives” could only be a government which people have voted in, instead of a government which has thrust itself with the barrel of the gun. There is some outside chance that people will vote out the corrupt, or less honest, in a ballot if they are given the option. The recent defeat slammed on Rawalpindi’s street boy Sheikh Rashid Ahmed could be an eye opener for all. People did seek their revenge and gave him the boot, just because he had joined the jackboots against their mandate. The only chance for Pakistan then is to let democracy and an accountability process run its course through the ballot. Democracy is thus the last hope. Even in established democracies like the United States or India, politicians still thrive who perform outrageous acts like the Rs 100 million birthday bash of Uttar Pradesh’s Mayawati for which the State tax payers bore the brunt. How the Indian democracy is reacting with nationwide condemnation is a sign of maturity. The voters will respond to this financial corruption in the next voting season. There is no need for a NAB in UP to come into action or the local Corps Commander to move his troops to capture the provincial assembly. After Musharraf dumped his own image, career and reputation, and that of the Pakistan Army, into the gutter, there is no moral or legal point in keeping Asif Zardari in jail, just because he imported a BMW. He is now close to being declared a ‘prisoner of conscience’, because if everyone is a thief in this land, why is a petty thief in jail when every robber friend of the military ruler is out, enjoying life and robbing the country.